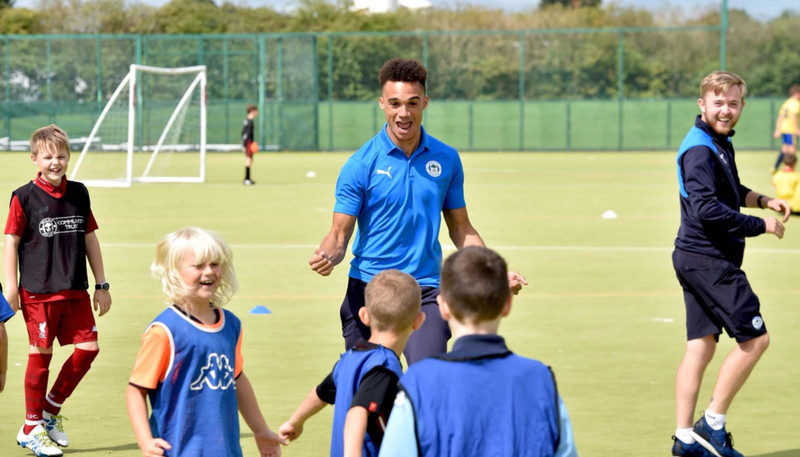 It was an afternoon to remember for a group of Wigan Youngsters at Standish High School on Thursday as Latic’s first team stars Antonee Robinson and Callum Connolly made a surprise visit to the Community Trust’s summer soccer school. 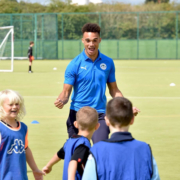 The pair, who joined Wigan Athletic on season-long-loan deals from Everton earlier this month, helped to improve the football skills of over 60 youngsters on what was an unforgettable day for some of the club’s junior supporters. 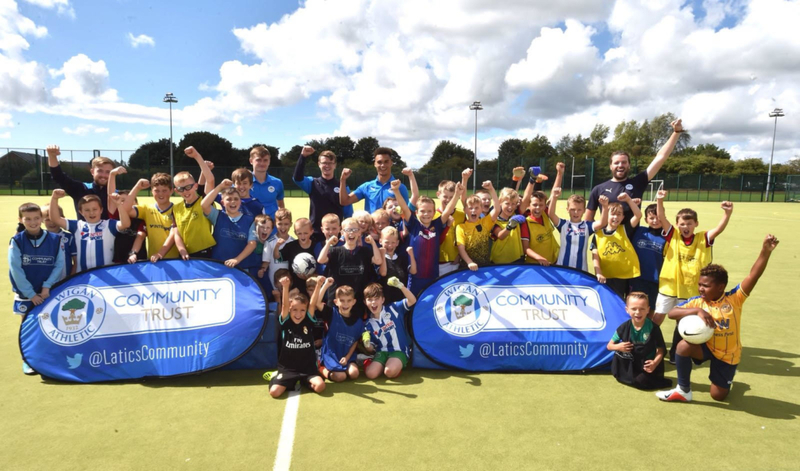 For Callum, who scored for Latics in last weekend’s game against Aston Villa and was a member of England’s Under 20′ World Cup winning squad, it was his second community appearance for the club having visited Orrell Holgate Primary School with Will Grigg two seasons ago, while Antonee was making his first in Latics colours. Speaking at the event, USA international Antonee, said: “It was a real good laugh and the kids were so enthusiastic to meet us. We had lots of fun and it was amazing to be able to take some time out of our day to make their day. 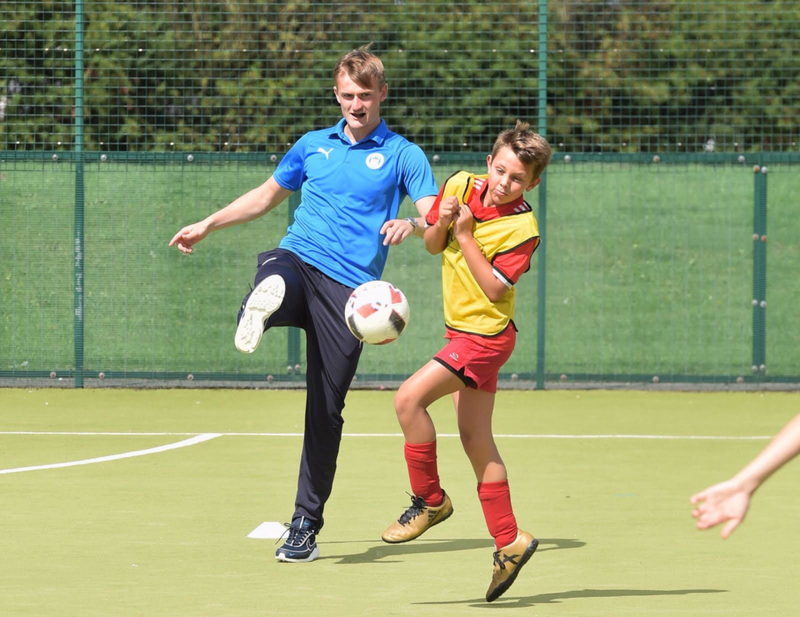 To book a place on any of the Community Trust’s soccer schools or dance camps, please complete the online booking system by clicking here.